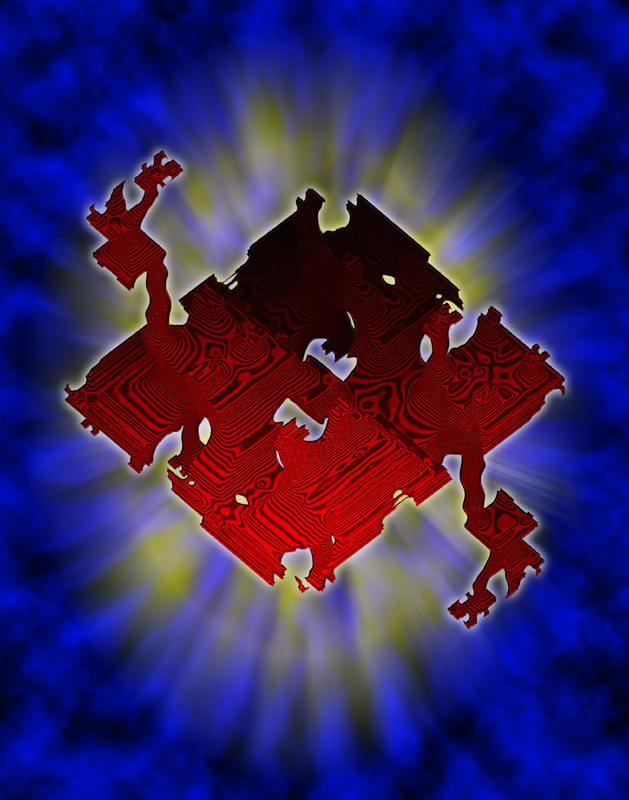 Deep zoom on a Tetrabrot "inside" the Tetrabrot with the MBE8D Software by Dominic Rochon, 2019. 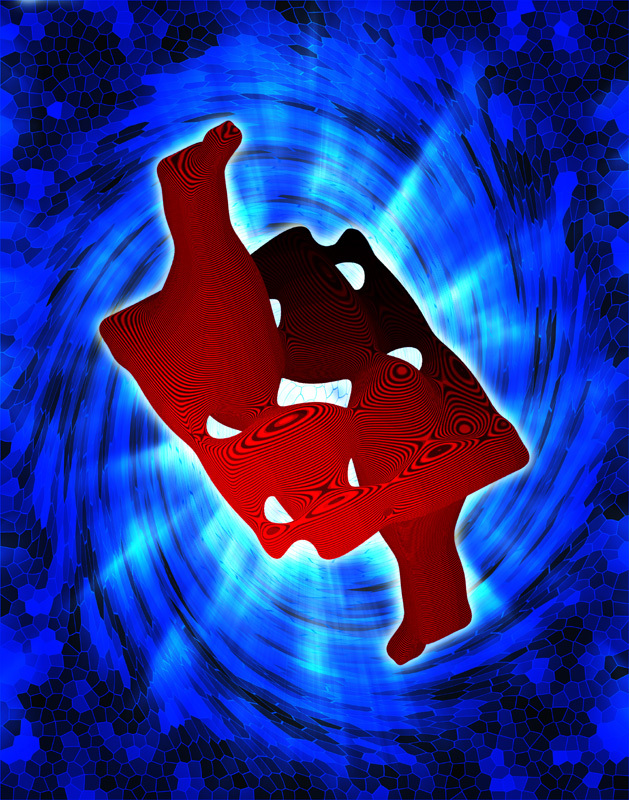 In multicomplex dynamics, the Tetrabrot is a 3D generalization of the Mandelbrot set. 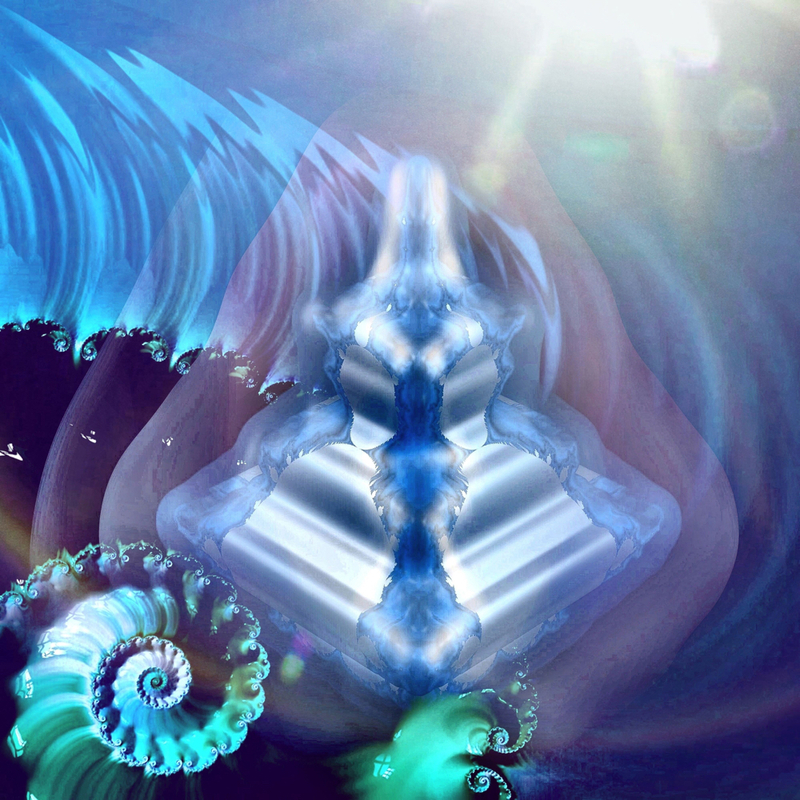 Discovered in 2000, this 3D Fractal shape can be interpreted as a 3D slice of the 8D tricomplex Mandelbrot set. The first "3DMandy" appears explicitly on page 84 of this Conference Document in 2006. The TETRABRIC by Dominic Rochon, 2019. 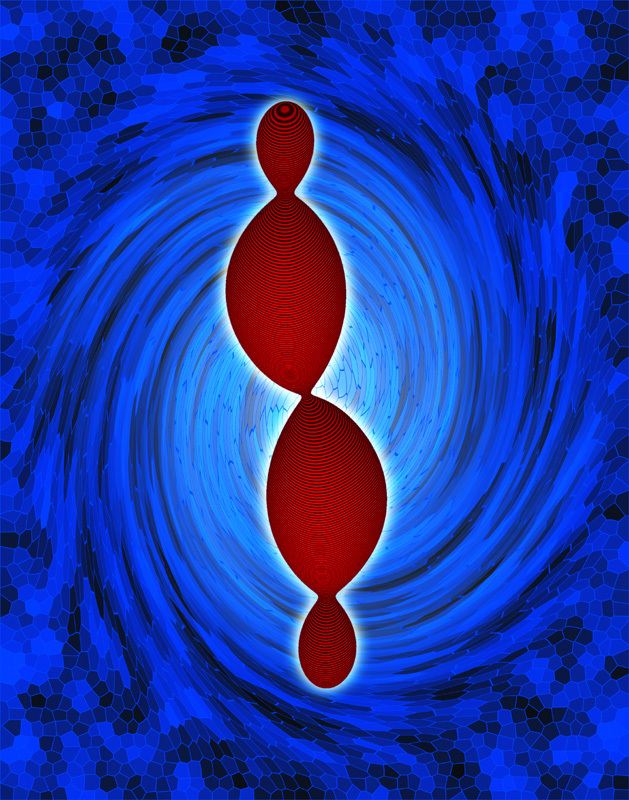 Artistic illustration of the Tetrabrot (Power 3). The Tetrabric is a principal 3D slice of the family of the Tricomplex Multibrots. The colors on the picture are generated in conformity with the generalized Fatou-Julia Theorem in multicomplex spaces. 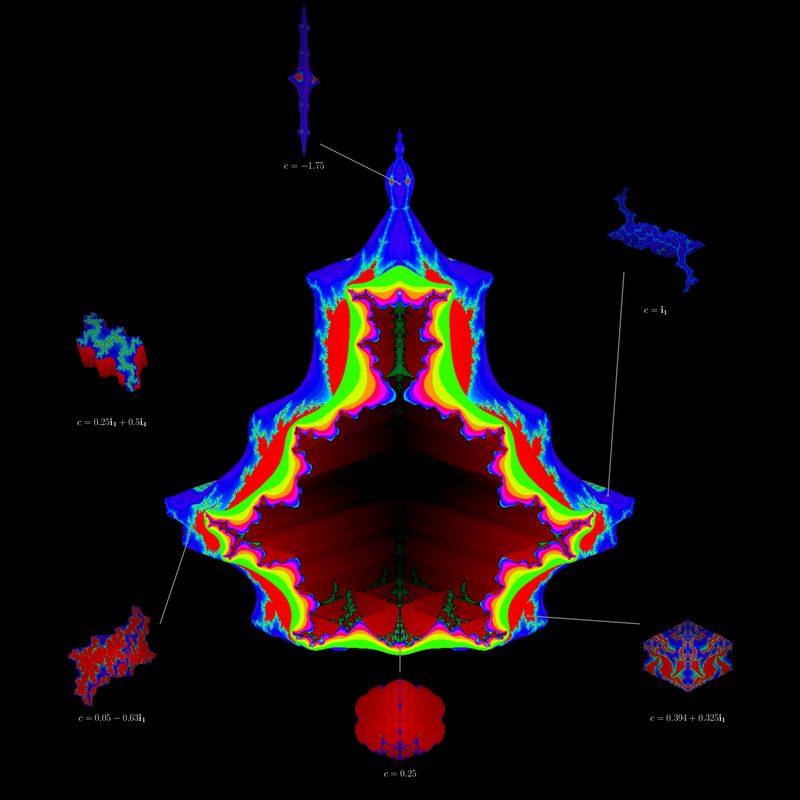 Each color is related with the topology of the filled-in Julia set corresponding to the 3D point of the Tetrabric. 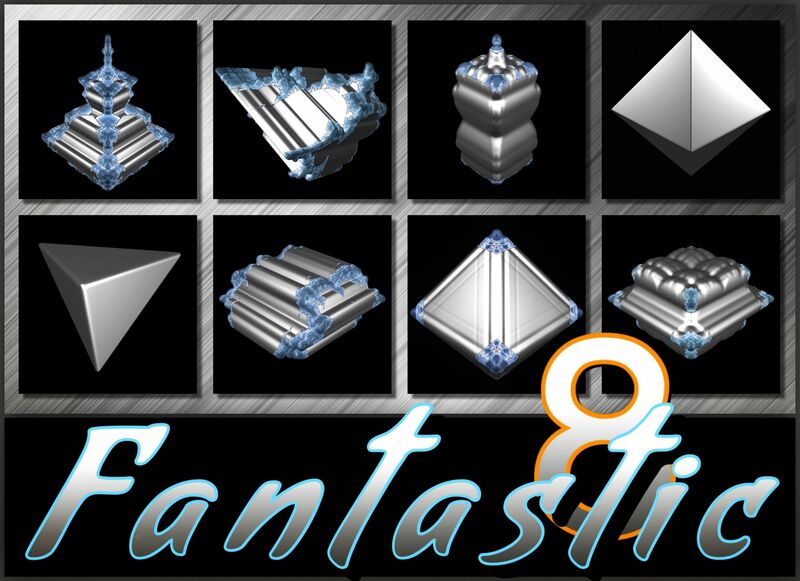 Generalized Mandelbrot Sets - "The 8 Fantastic" by Guillaume Brouillette & Dominic Rochon, 2018. Illustration of the eight principal 3D slices of the Metatronbrot representing the equivalence classes in the tricomplex case. The TETRABROT by Dominic Rochon, 2018. 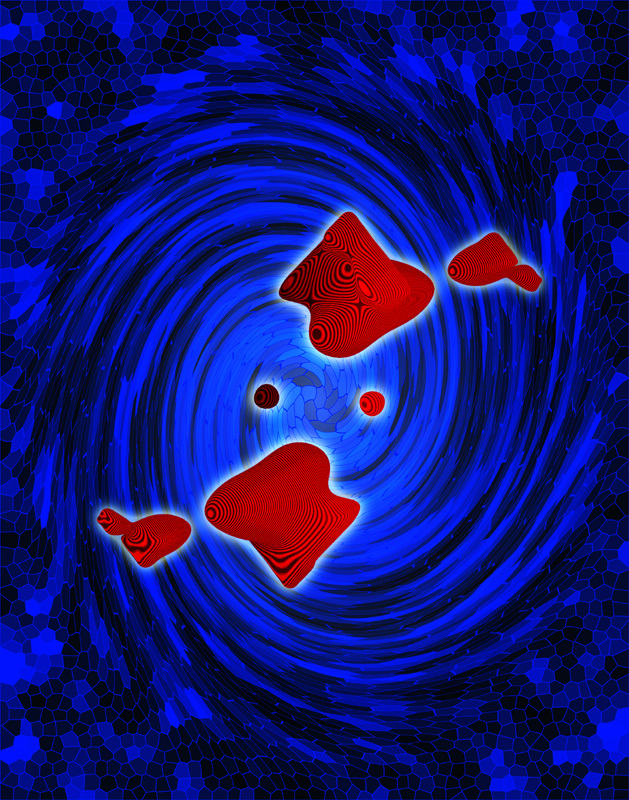 Illustration of the Tetrabrot with several 3D divergence layers to infinity generated by a ray-tracing halo effect. A huge thank to Étienne Beaulac & Louis Hamel, from UQTR, for their nice work on the MetatronBrot Explorer (MBE8D). METAFRACTAL - METABROT (Pseudo-OCTAHEDRON with fractal corners) by André Vallières & Dominic Rochon, 2018. 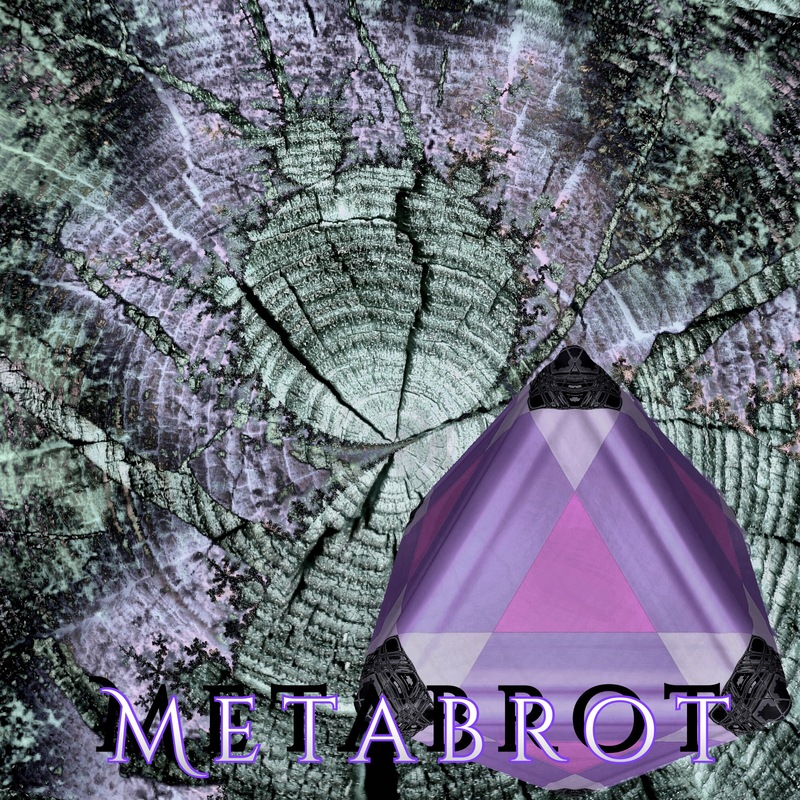 The Metabrot is a principal 3D slice of the Metatronbrot. In multicomplex dynamics, the METATRONBROT is the 8D tricomplex generalization of the Mandelbrot set. Discovered in 2009, it can be interpreted as a particular case of dynamics of 4 complex variables. 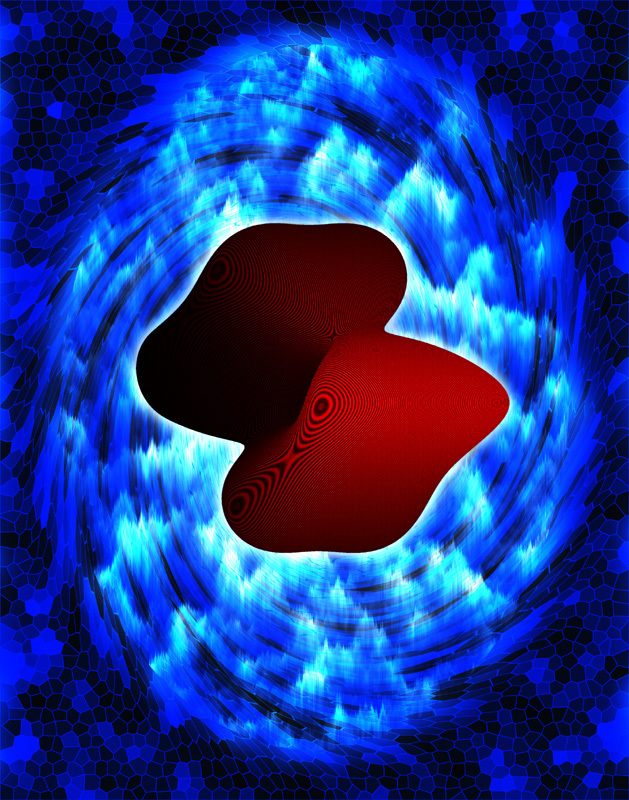 Tricomplex Dynamics - 8D Mandelbrot set by Dominic Rochon, 2018. 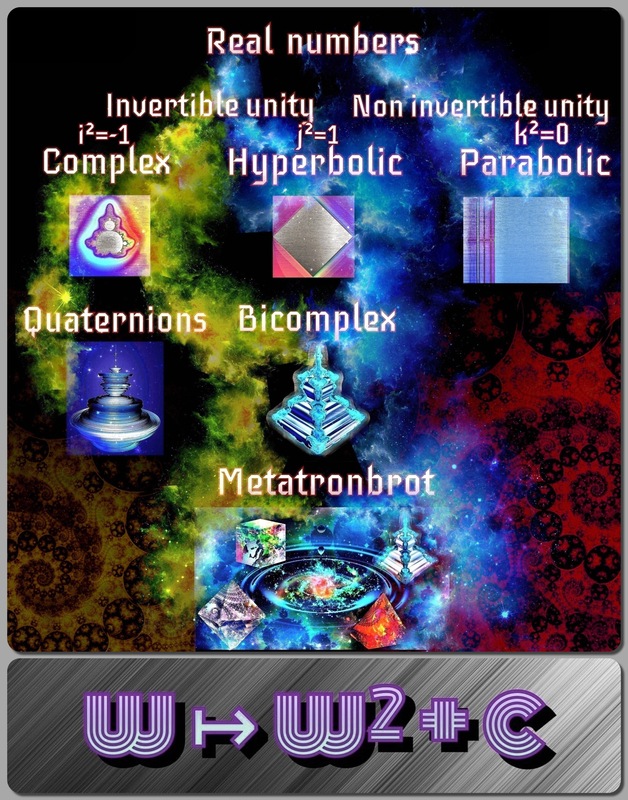 Genealogical schematization of the METATRONBROT. In multicomplex dynamics, the Metatronbrot is the 8D tricomplex generalization of the Mandelbrot set. The name "Metatronbrot" refers to the 2D geometric shape of the so-called Metatron's Cube of the Flower of Life, where the same three Platonic Solids (the cube, the tetrahedron & the octahedron) can be found with an orthogonal projection. The Tetrabrot with the hyperbolic bifurcation diagram by Raphaël Gervais Lavoie, Samuel Lemay and Dominic Rochon. 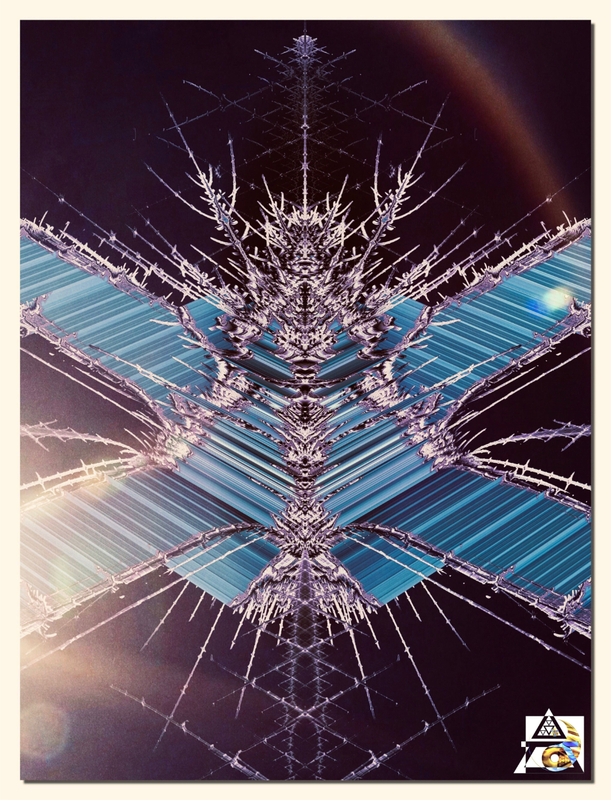 Cosmic Tetrabrot by Étienne Beaulac and Dominic Rochon, 2018. Rochon's Tetrabrot with various filled-in Julia sets by Pierre-Olivier Parisé, 2017. 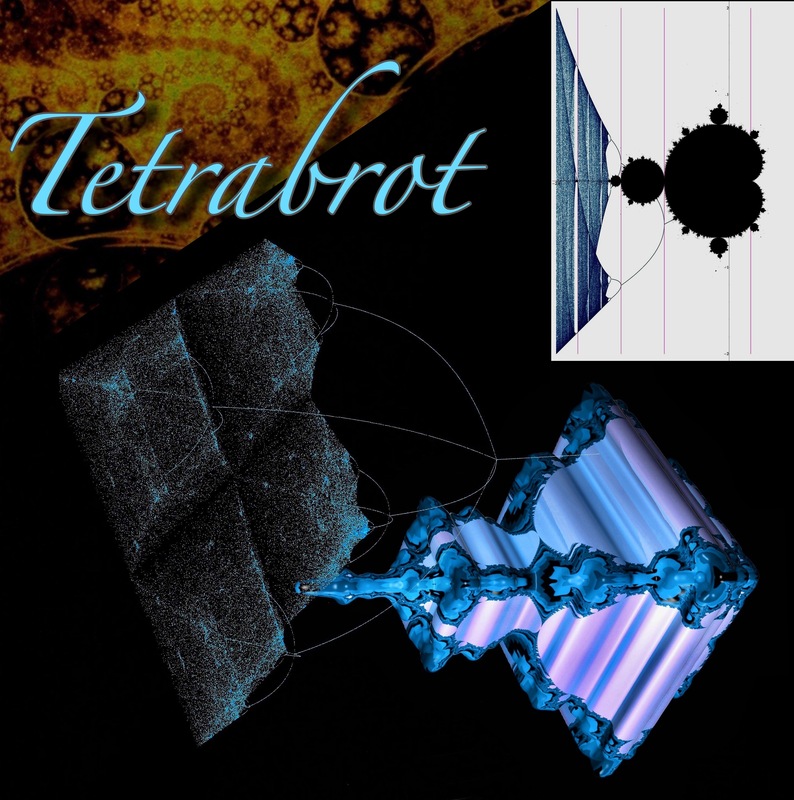 Animation of the Tetrabrot rendered using ray tracing with the Bicomplex Distance Estimation develloped by Étienne Martineau and Dominic Rochon. Here is the animation of different slices from of the generalized Mandelbrot set for bicomplex numbers. 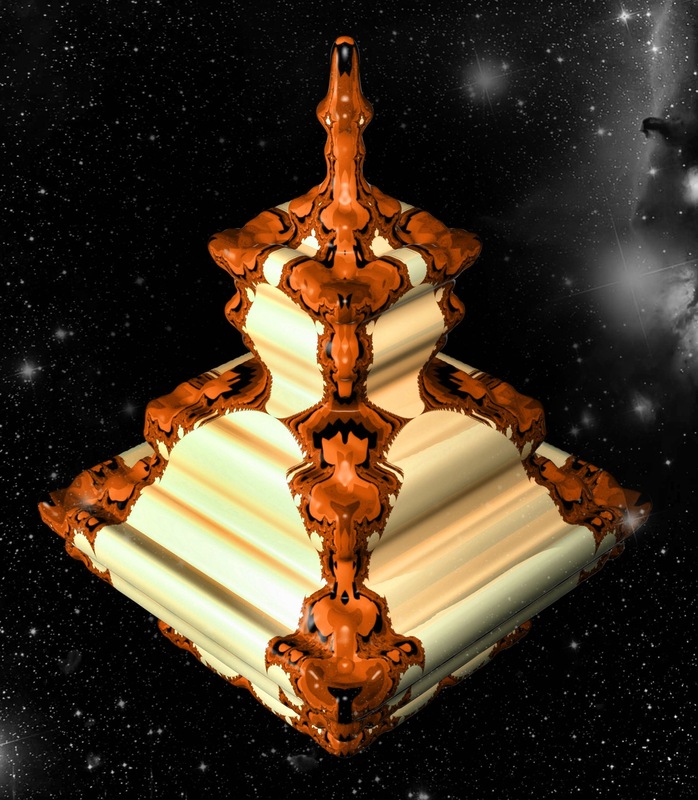 Here is an animation made from successive approximations of the bottom of the Tetrabrot. Tetrabrot explorations made from the TetraBrot Explorer, 2005. 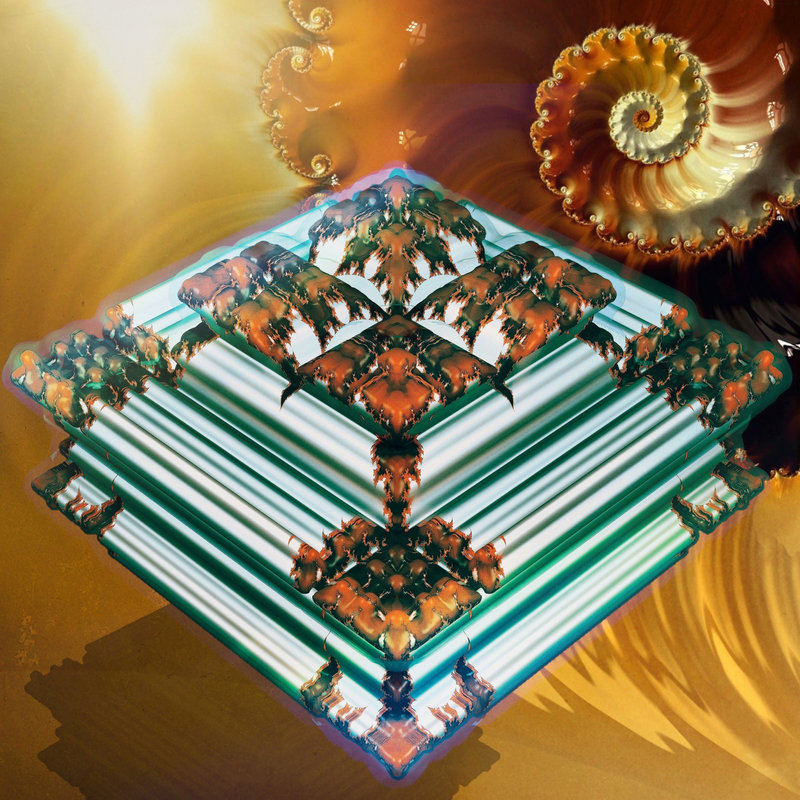 Fractal art compositions from bicomplex filled-in Julia sets. 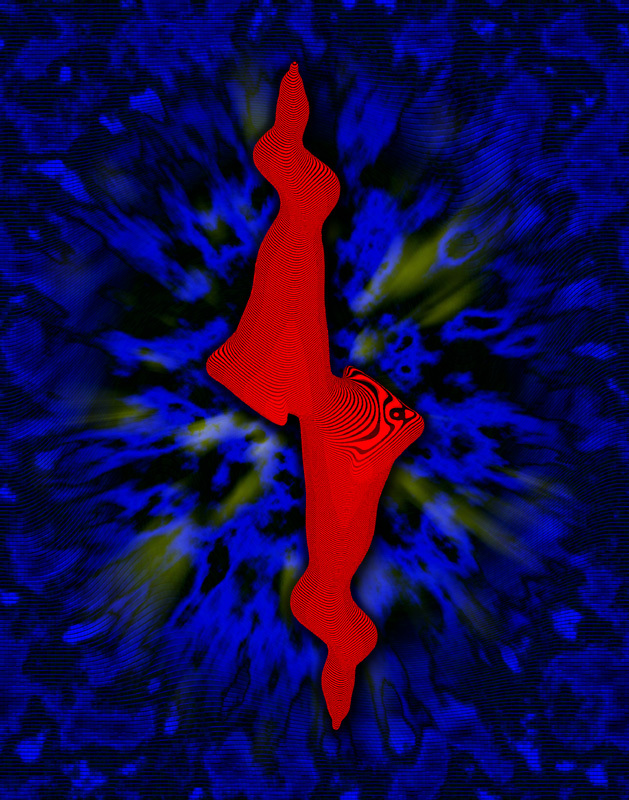 Artwork by Alec Bourque and Dominic Rochon, 2001.